MBA interest in tech companies is growing, and with this trend comes an interest in the product management function. While the function only accounts for about 7% of MBA positions in 2016, it’s trending up significantly. The PM role typically merges project management, marketing, design, and problem-solving and supplements the technological side with strategy and and vision. 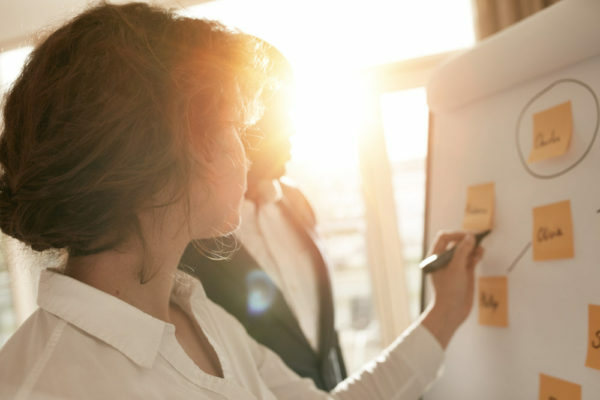 The deputy dean for the full time MBA program at the University of Chicago’s Booth School of Business says students are often drawn to product management because they feel the job will have a tangible impact on a company. The average salary for an MBA graduate working in product management is $124,810; which is in the 76th percentile for other MBA functions. In addition to the favorable salary, product management positions tend to come with hefty bonuses. The average signing bonus of $27,948 is in the 95th percentile, and starting stock compensations for MBA grads specializing in product management are at the very top of the list at $28,791 on average. One Facebook product manager reported receiving 75,000 shares when he joined the company. All together, an average starting compensation package in this function ranks in the 81st percentile at $207,236. If you decide to work as a PM in a startup as opposed to an established company, average total compensation falls to $135,571. To view full compensation data and see how it stacks up against other functions, just sign up here and visit the Career Explorer. For MBA graduates in product management a typical work week will last 50 hours, about 4 hours less than the average for other functions. While this average seems appealing to most MBA grads used to long hours, the work-life balance can vary by firm. For example, Google product managers report an average 40 hours per week while Apple employees reveal a 70 hour norm. Time spent traveling is also less than half that of other MBA functions, at only 11%. Overall job satisfaction for those in product management is only slightly above average. For example, the average impact of work score of 7.4/10 is a bit higher than the 6.9/10 average. Product managers recommend their position at 7.2/10 as opposed to the average 6.7/10. PMs are typically accountable for the success or failure of a project, which can be a pro or con depending on the employee’s personality. Just as product management accounts for about 7% of all full time positions, internships within this function also make up 7% of MBA internships. Total compensation for MBA internships in product management are on par with average at $102,571. At least 95% of this package is an average base salary of $98,207 since interns don’t earn the same sky-high bonuses as full timers. Internship offers peak in February and March, just in time for summer positions. In the past Google has hosted The Google MBA Product Management Summit, which is a three-day all inclusive peak into the role of a PM. Following summer internships, full time product management offers peak between August and October. Men in product management hold about 75% of full time positions, a slight over-index versus the average gender distribution across MBA programs. Despite the fact that women account for 55% of undergraduates, they represent 40% or less of MBA students. Schools are investing in scholarships and outreach to increase female enrollment, which may lead to a more even composition in product management. Despite the uneven distribution, compensation packages between men and women are virtually identical. Props to product managers for squashing the gender pay gap! Product managers can benefit any number of industries and companies, but MBAs tend to gravitate to certain popular industries when pursuing the function. The overarching category of “technology” is most sought after, with software and eCommerce leading the pack. Tech companies are typically set on hiring an MBA that has technical or engineering experience, however a non-technical background won’t necessarily inhibit you from finding a product management position. Based on the fact that tech giants tend to attract the most MBAs, it’s no surprise that west coast cities such as San Francisco and Seattle are home to many MBA level product managers. Other cities where opportunities can be found include New York, Chicago, and Boston. Many of the most popular companies for MBA grads entering product management are well-known names such as IBM, PayPal, and Microsoft. A few other companies you may have heard of can be compared below. To see a full list of firms that hire MBAs interested in product management, along with their average compensation packages and satisfaction scores, simply sign up for free and visit the Career Explorer. Most MBA positions within this function carry the title “Product Manager” or “Senior Product Manager”, but companies such as Facebook offer a Rotational Product Management Program that rotates hires through different product teams over an 18-month period. Product management positions combine a variety skill sets, so it only makes sense that a PM interview covers topics ranging from strategy and tech to analytics and design. Before your big interview it’s helpful to leverage your network and talk with a PM at your target company – or any company – to ask them about their experiences and tips. During the interview you might be asked about products you love and hate, and how you would improve processes and flows we as consumers are all familiar with. Product management interviews can cover a lot of ground, so it’s important to prepare as thoroughly as possible. For more great interview tips, read this guide.